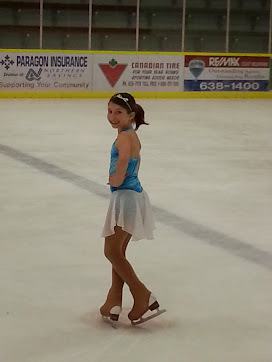 The Pre-Junior program is designed for young skaters who are working on the CanSkate program, interested in figure skating (Star Skate program) and looking for a challenge. It is taught in a group format, along with independent practice time each day. Lessons include instruction on the fundamentals of jumps, spins, edge quality and musicality. Participants may learn their own solo, and may have an opportunity to participate in a year-end competition as well as prepare for Skate Canada tests. Report cards, badges, and various incentives are awarded. All skaters must have a minimum of CanSkate level 3. Figure skates are required. Helmets are optional after the skater has completed level 5 Can Skate badge at both the parent & coaches agreed descrestion. Figure Skating dress code is in effect (see Dress Code Policy). Please dress warmly and appropriately. If you would like your child to have private or semi-private lessons you may purchase the extra ice time. You must expect to pay extra directly to the coach for your private lesson. Please book in advance and pay your coach for these lessons. If you have questions, please speak to the Pre-Junior Coach or the Coach / Director of Skating. An updated TSC Figure Skating Handbook explaining the world of figure skating can be found under the 'Figure Skating' tab.